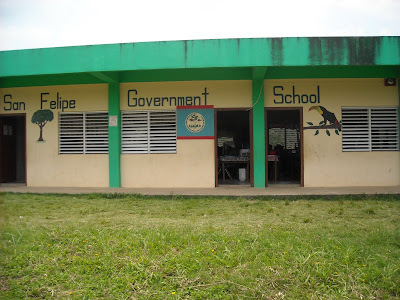 A few months ago in Belize I travelled along the unpaved road to visit the San Felipe Government School. The village of San Felipe is small, poor and in a remote area of the Toledo District. I was met at the school by Principal Ann Coleman. 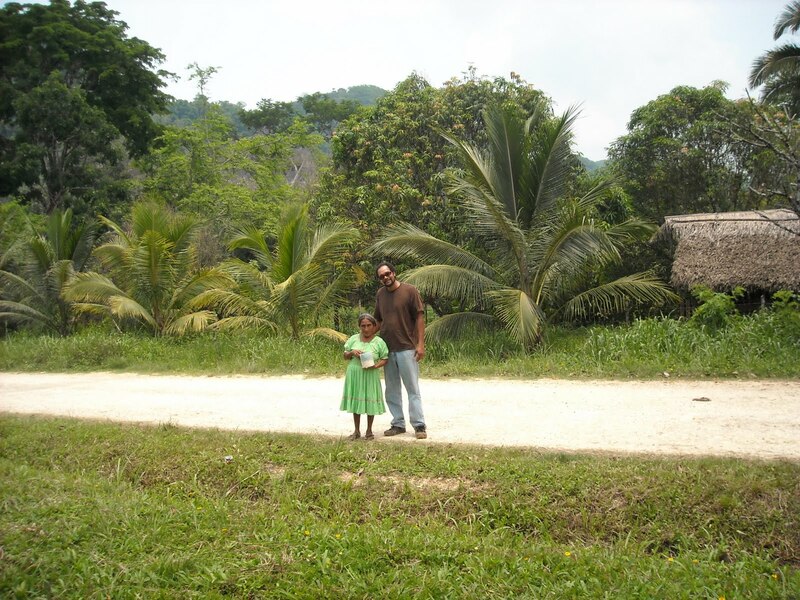 In rural Belize, as in most developing countries, life can be very unstable and getting an education can be the key to your survival or a route out of poverty. San Felipe Government School has done wonders since 1979. According to Principal Coleman and village elders, the first school in San Felipe began back in 1979 and was called San Felipe Roman Catholic School. It was under the management of the Catholic Mission and the Catholic Jesuits of Belize. The small one room wooden structure had a thatched roof and at the time, housed 50 students and two teachers. With the growth of the village and the student population, the villagers saw the need for a new school building. They sought help from the Government of Belize and in 1990 a new concrete three-room building with a separate kitchen was erected across the road. 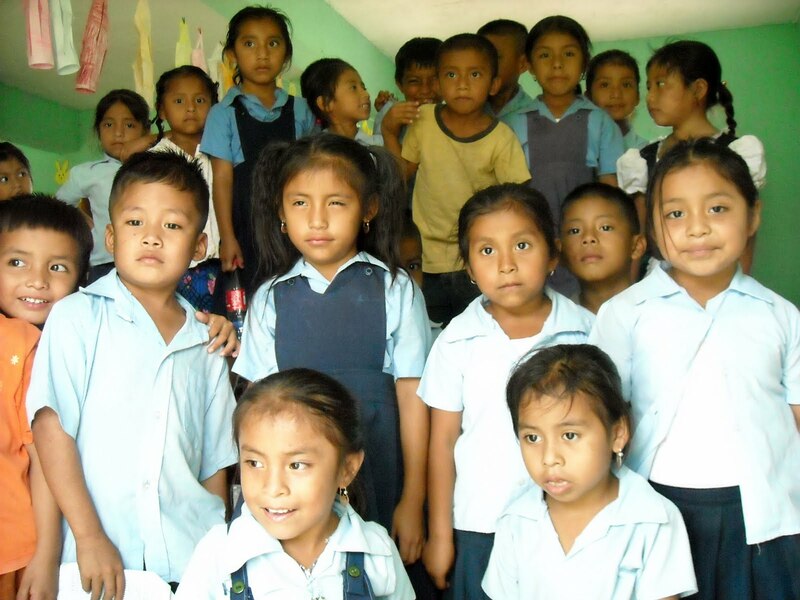 The new school opened with a new name, San Felipe Government School with 65 students and three teachers. From 1990 to 2007, the population of students increased to over one hundred and some class rooms were overcrowded. With this increase, a number of students were in a multi-grade setting. 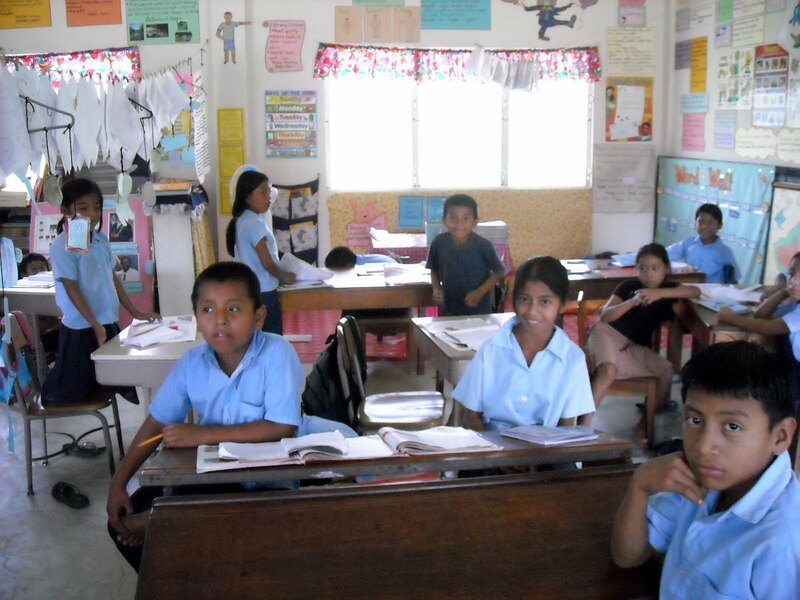 For the new school year in 2007, San Felipe School opened with an additional two class rooms and a five teacher staff. The principal said that “we now have five rooms, but we are still a bit overcrowded. These classrooms have concrete floors, beautifully decorated, and painted plastered walls, louvered windows, and indoor bathrooms. The windows and doors are wide, whilst keeping the rooms well aired. 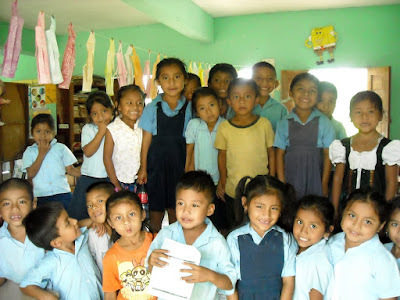 The classrooms are clean and thus help to improve the health of the children. Although the five classrooms school does not provide all the required supplies and materials of a school in the city, it gives the community sufficient boost to enable them to further develop the school in the future. In addition Principal Coleman said the school placed great importance on the provision of clean drinking water and a kitchen for preparing snacks for all the children. The benefit of an education is the key to making our world a better place. To get to San Felipe Village: From all points north, take the Southern Highway towards Punta Gorda until you arrive at the junction locally known as 'Dump'. There will be a gas station on your right. Make a left here and drive about four more miles until you see signs for Barranco Village and the San Felipe Road (identified with signposts to the Sarstoon Temash National Park, and signs for Tranquility Lodge and Cotton Tree Lodge). Turn onto this unpaved road and drive approximately 2 miles to reach the village of San Felipe. Great Work U Are Doin Informing People About Our Country...U R The Voice Of belize....1 Day Soon I Am Joining The Peace Corp N try N Bring Change to our Nation...We Have A Voice, People R listening We Just Have to Deliver!!!!! Kudus To U!!!! Thanks for highlighting this little school. The children in these deep Southern villages are sometimes said to be poor, but they often come from extremely loving homes, where education is highly valued. But the schools still need help especially wih feeding programmes. I find it truly amazing that this school that is fairly a new school compared to Crooked Tree Government School is making so much progress. CTGS been around for many decades and we still don't have indoor toilets. My hat goess off to San Felipe Primary School for working together as a community to make it worthwhile for their children to attend school. Thanks Linda again for informing us (especially me) for what is going outside our community. 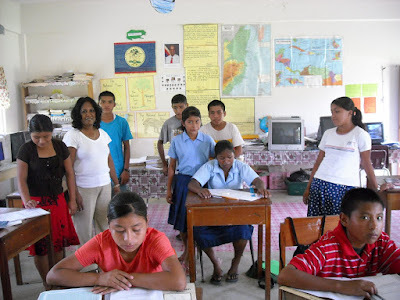 One of the hugely frustrating things about Belizean schools is just this disparity. It partly relates to the local community. 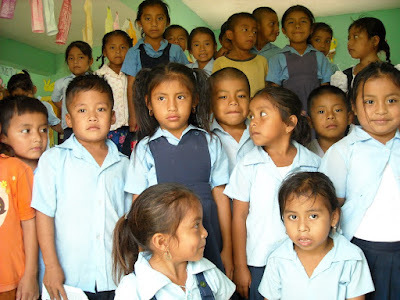 Schools in areas which are wealthier OR more socially cohesive do better - hence schools in "Spanish" and Mayan areas. Another issue we all face is that donors seem more willing to give us stuff like computers than the things we really need - like inside toilets, hey, clean drinking water in some paces. Yet another issue is that the government will bus children around, so the more ambitious parents can send their children to, say, a school in Belize City instead of their local school, because in some instances the government will bus them there. I enjoyed these pieces about the bands very much. There is so much talent in little Belize. You do a good job of bringing Belize to us who are far away from home. Good writing skills, girlfriend. Very enjoyable article. I think it's great that people care what others are going through, but the worst thing is that no one does anything about it. I am 16 and I'm interested in what I could do to help my village. I grew up in Cotton Tree Village and the education system was very poor and now I'mm here in the U.S.
WHAT PEOPLE DON'T NOTICE IS THAT THIS/US KIDS ARE THE FUTURE AND WE NEED THE BEST EDUCATION AND US KID SHOULD DO THE BEST TO SHOW EVERYONE!